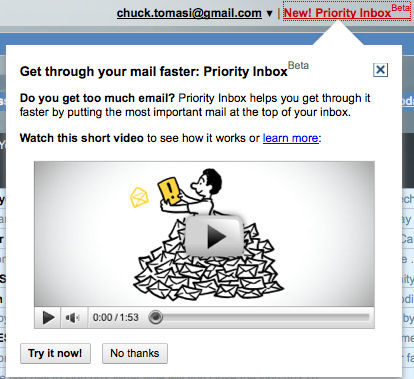 Both Inbox and Priority Inbox are treated as labels. So, if you have Goto Label turned on, you can, for example, use g-l-Inbox to bring up your standard inbox. Whichever inbox you last view is the default for the g-i shortcut.